The ales are all bottled by hand and selling them has been a pleasure. We don’t have too many of them left so if you want any, best get here soon or call us for us to put them away. 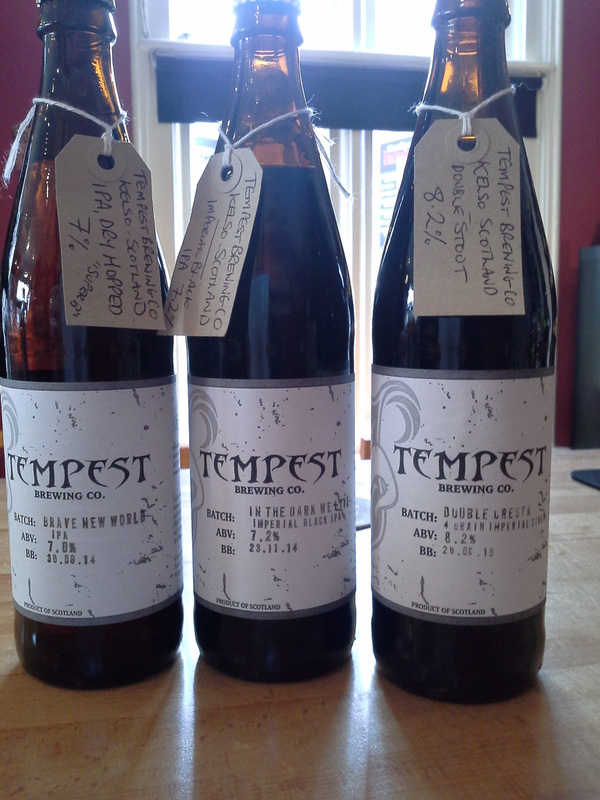 We can not praise Tempest Brewery too highly. Amazing. As a Marble beer fan I can honestly say the range from Tempest is another peg up .Long white cloud best drink I have ever had. Just sampled Thorn bridge Kipling south pacific pale ale 5.2%. If you err to the lighter side even dare I say it lager then this will ween you from the dark side, bursting with fruit ,light and with a subtle kick so fill the fridge for kick off.